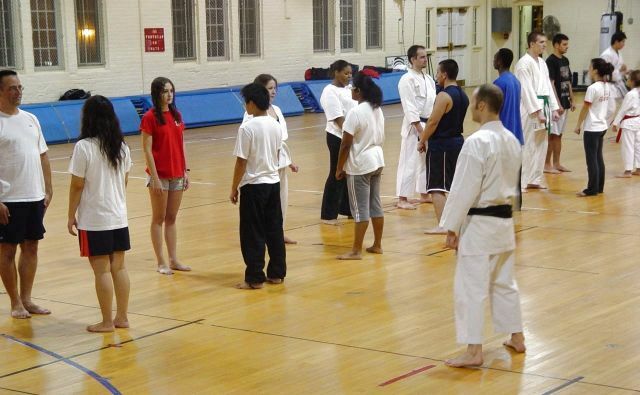 UConn Karate Club class photo, October 10, 2007. Front row: Alana Westmoreland, Eva Forrest, Melissa Jacobs, Julie Westmoreland, Archana Satram, Stephanie Brown, Carley Silvia, Nha Duong, Dana Harmon. Second row: Karol Kuczaj, Aurelien Carlier, Rob Terlikowski, Mike Jacobs, Patrick Kumavor, John Wetmore, ??, ? ?, Heather Murdock. 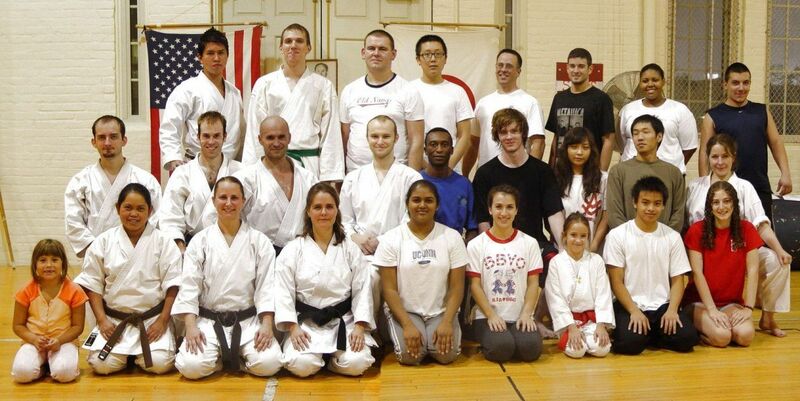 Back row: Jiu Low, Joe Dowden, Pawel Wysocki, ? ?, Mike Silvia, Greg Tutolo, Vanessa Harris, Moni Petrov. And the following Friday, October 12, 2007. Front row: Juvy Abarientos, Jeremy Bui, Kim Bui, Eva Forrest, Abby Barrera, Melissa Jacobs, Brian Boyce, Brianna Boyce, Aidan Boyce. Second row: Tim Bui, Chinh Bui, Aurelien Carlier, Ken Forrest, Mike Jacobs, Patrick Kumavor, Susie Huang, Nick McIntosh. Back row standing: Renald Guillemette, Zachary Bui, Rob Terlikowski, Matt Delude, Joe Dowden, Pawel Wysocki, Moni Petrov, Bob Jacobs. 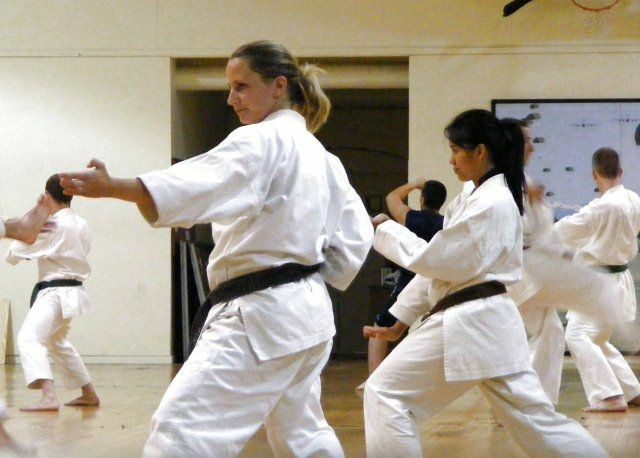 Melissa and Juvy practice kata. Mike teaching the new members. 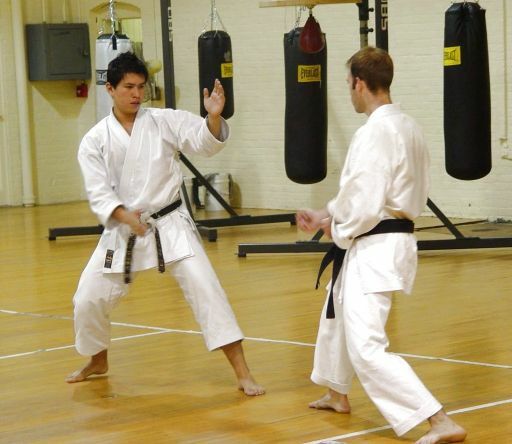 Jiu and Aurelien free sparring. 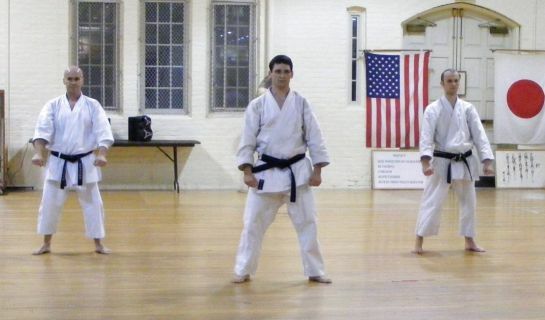 Rob, Matt and Mike about to perform team kata. 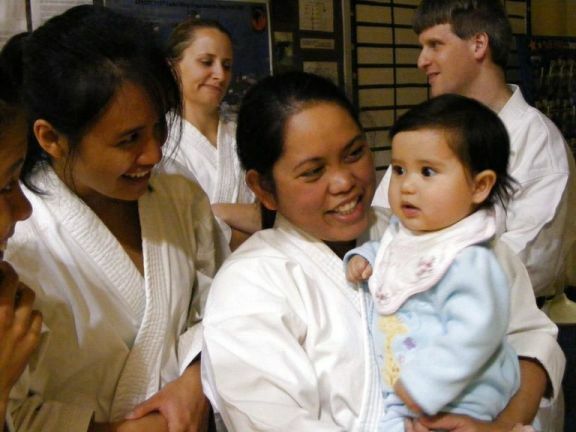 Juvy, Eva and baby Tori.